Earlier today, StarHub introduced a suite of new mobile postpaid plans which offer free unlimited local data access on weekends. From 12am on Saturdays to 11.59pm on Sundays, StarHub customers will be able to surf and stream to their heart’s content without having to worry about incurring excess data charges. Outside of the weekends, customers will have between 3GB and 15GB of bundled data, which can be upsized and shared with loved ones using the DataJump and DataShare options. Prices for five new postpaid plans range from between $48 for 3GB and 200 minutes of talk time, to $238 for 15GB and unlimited talk time. 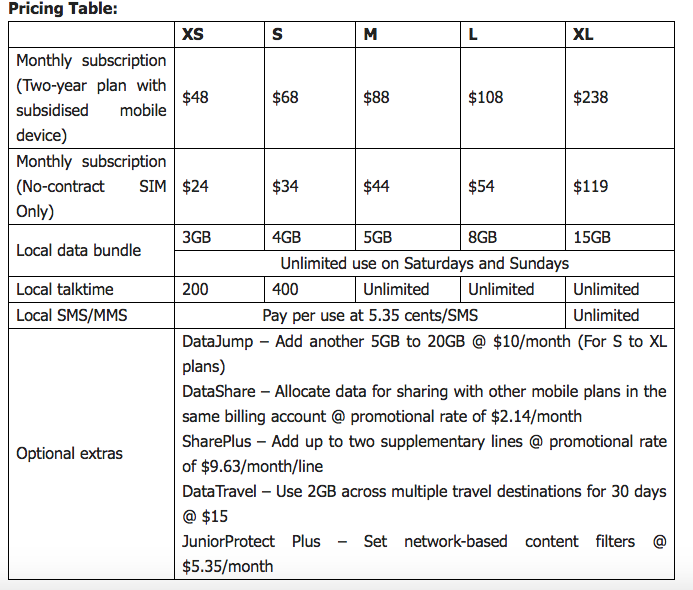 SMSes are not included in the data plan, and they will be charged at 5.35 cents per message. The prices are slightly higher than the standard 4G plans StarHub currently offers, which range from $42.90 with 3GB of data and 150 minutes of talk time, to $220 for 12GB of data with unlimited talk-time. “Fuelled by more advanced phones and pixel-heavy content, Singapore consumers’ appetite for data continues to grow. With our new data-focused plans, we are enabling our customers to do more of what they love on their smartphones freely and at much faster speeds too,” said Justin Ang, Head of Product, StarHub. Starting tomorrow, customers will be able to sign up for the plans online as well as at StarHub shops, authorised dealers and at COMEX 2017. 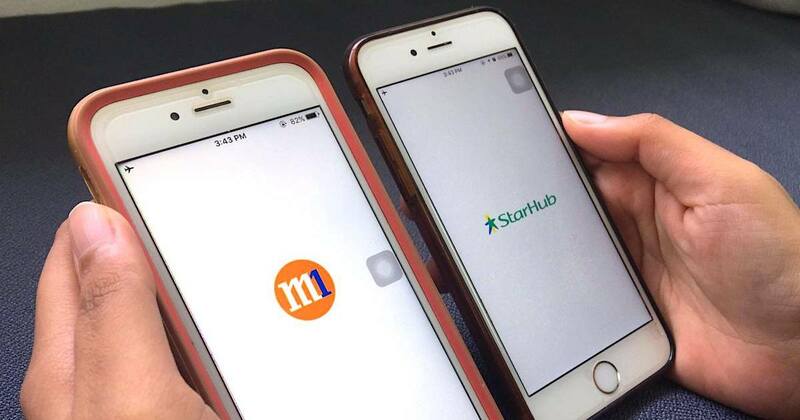 Following StarHub’s announcement, fellow telco M1 did not want to lose out and launched an unlimited 4G mobile plan for $98 a month soon after. The new plan – known as the mySIM3 98 plan – is one of the four new data-centric SIM-only plans by M1. According to the telco, it wants to cater to consumers’ growing data needs, for social networking and video and music streaming services on the move. Customers can select the data bundle that best meets their mobile needs, starting from $20 for 5GB, up to $98 for unlimited data access. Unlimited talk-time is further available at an additional $15 a month. Sign-ups for the new plans start tomorrow at any M1 shop, distributor, or online. As part of the launch promotion, customers who sign up for mySIM3 98 from August 31 to September 2 will enjoy free unlimited talktime for 12 months.